In case you’re not a Star Trek fan, that relationship looks a little something like this: Heidi is the visionary, the big picture, the passion play. And while Christina also has her eye on the long game, she’s on top of the analytics, the operations, the putting all the pieces together. Both women are entrepreneurs in their own right and have run large companies on their own. 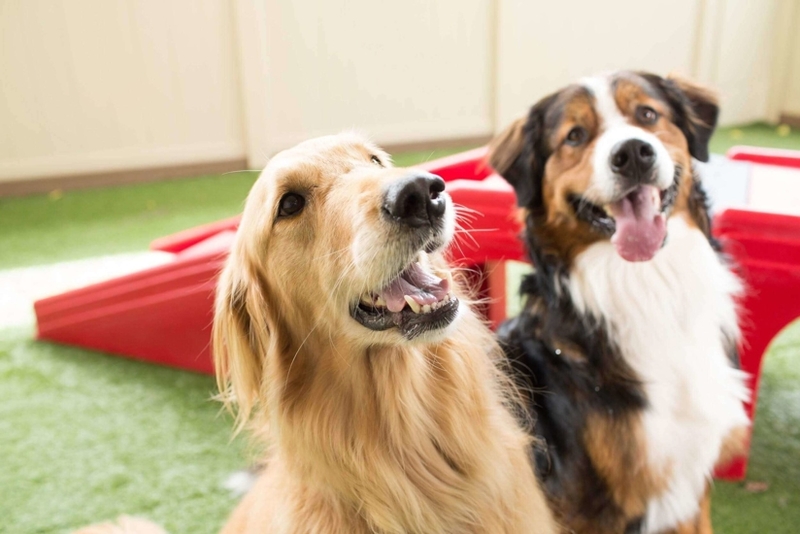 Together, they’re shaping up to be a powerhouse in the franchising landscape, running an $80 million pet care services company that is sustainable, innovative and on an ambitious track to expand the company to 500 franchises by 2020. C-suite female leadership at big companies such as Camp Bow Wow, which is the largest pet care franchise in North America, is rare. Among S&P 500 companies, only 4% had female CEOs in 2015, according to the nonprofit organization Catalyst. Camp Bow Wow is often described as a good fit for women as franchise owners, something both the Founder and the President uniquely understand. Women are often primary pet caregivers in the home, so they’re often the ones who are first drawn to the Camp Bow Wow franchise opportunity. There’s an opportunity to mix business with passion, to challenge themselves as entrepreneurs while doing something service-oriented. We checked in recently with Heidi and Christina for a chat about their roles in the company, how their leadership styles sync up and what Camp Bow Wow has to look forward to in the next several years. Heidi and VCA worked with a recruiter, culling through 50 top candidates to find the right person to help lead Camp Bow Wow into the next 15 years. “I wanted someone who could take care of the day-to-day while I worked on the strategic side of the business,” Heidi says. They didn’t particularly care what gender Camp Bow Wow’s President was; they merely wanted someone with a strong operational focus, someone whose attributes would dovetail as seamlessly as possible with Heidi’s strengths. After interviewing some 15 people, they finally landed on Christina, who had just reached the point in her career where she was seeking her next challenge. After 15 years with Curves International, both as the owner of four franchises and ultimately Vice President of Operations, serving as a mentor to Curves franchisees, she was ready to move on after the company changed hands. She was interested in service brands, and she knew she wanted something mission-oriented. Camp Bow Wow passed her sniff test. And did her own passion for dogs play a part? Both women are drawn to our company’s commitment to service and making the world a better place for dogs and their people, and both are drawn to the creative side of being an entrepreneur. They are as passionate about franchise support as they are their dog obsession, and in many respects their leadership styles are quite similar. When it comes to shaping the vision and strategy that will pave the path for Camp Bow Wow’s next few years, both women are excited about the possibilities that lie ahead. In addition to the company’s expansion plans, they continue to explore ways they can create more synergy with parent company VCA, which operates 600 animal hospitals nationwide. Camp Bow Wow will also be rolling out some exciting brand initiatives, like something new for the small-dog market that’s in the testing phase in 2016 and may be ready in 2017. Camp Bow Wow is experimenting with Lil’Campers, which are similar to Camps but provide services to small dogs exclusively. Although Camps already serve small dogs and teacup breeds, Heidi and Christina is the team exploring the untapped revenue potential in the small dog market, hoping to create something that’s even more appealing to small-breed pet parents. There’s a lot of talk around Camp Bow Wow’s Denver-area home offices about work-life balance, Heidi notes. It’s something that’s important to individuals and the company as a whole, much like the balance of leadership that she and Christina have worked to achieve. If you’d like to learn more about the franchise opportunities at Camp Bow Wow, please fill out the form at right to download our free franchise report or explore our research pages for in-depth information.